Traveling to New York City? This really is the right spot on the net to find places to swim in New York City. Each day you will be not swimming you're losing precious time to boost your expertise a be a much better swimmer! No much more excuses!. 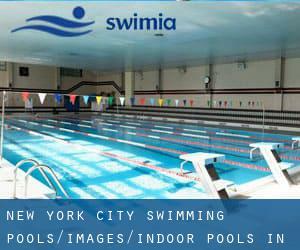 These would be the Indoor Pools in New York City other users have reported. Are you a local and your pool isn't listed? Contact us to ADD IT. It's free! Are you a normal swimmer? Do you visit the same Swimming Pools? Please check that all of the particulars for your aquatic center are right and contact us in the event you come across any mistake. Swimia.com requirements your feedback to ensure all the facts is valid, because perhaps this pool is no longer open towards the public. Not all countries would be the exact same, and swimming regulations and rules are changing from one country to a further. 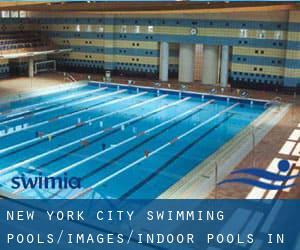 We at present have the following Indoor Pools in New York City, but we are usually grateful for any corrections or contributions. Get in touch via our contact type. Updated on 2019 39 Whitehall Street , Financial District , New York , NY , USA (Postal Code: 10004). Among all the activities provided by the center, if you are interested in swimming you will enjoy 60 feet, 2 (wide) lanes, 3 feet - 5 feet depth, Indoors. If you will need to contact this Pool, email address and phone number are both number. Updated on 2019 1605 Broadway, 15th Floor , Midtown / Times Square , New York , NY , USA (Postal Code: 10019). This sports center delivers 50 feet x 18 feet, 4 lanes, Indoors. For this Pool, only phone number is number here. Updated on 2019 181 Mercer St. , Greenwich Village , New York , NY , USA (Postal Code: 10012). This sports center gives 25 meters x 45 feet, 6 lanes, Indoors. For this Pool, only phone number is number here. Updated on 2019 Marshak Science Building , Convent Ave. , Harlem , New York , NY , USA (Postal Code: 10027). This sports center offers 25 yards, 6 lanes, Indoors. Updated on 2019 75 West End Ave. , Upper West Side , New York , NY , USA (Postal Code: 10023). This sports center gives 70 feet x 25 feet, 4 lanes, 3.5 feet-5 feet depth, Indoors. For this Swimming Pool, only phone number is number here. 392 Asser Levy Place , Gramercy Park , New York , NY , USA (Postal Code: 10010). Swimmers like you reported 22 yards x 26 feet, 3 lanes, 8 feet depth, Indoors. Unfortunately we do not have the email address of this Swimming Pool, but we can provide you with the phone number. 899 - 10th Ave. , Midtown , New York , NY , USA (Postal Code: 10019). Swimmers like you reported 25 yards, 5 lanes, Indoors. Unfortunately we do not have the email address of this Pool, but we can give you the phone number. 2600 Netherland Ave. , Riverdale , Bronx , NY , USA (Postal Code: 10463). Among all of the activities offered by the center, if you're interested in swimming you'll enjoy 25 meters x 10 meters, 4 lanes, Indoors. Just in case you need to contact this Pool before dropping by, we only know the phone number. Updated on 2019 1 Central Park West , Columbus Circle , New York , NY , USA (Postal Code: 10019). This sports center provides 55 feet, 2 lanes, Indoors. For this Pool, only phone number is number here. 6709 108th St. , Forest Hills , Queens , NY , USA (Postal Code: 11375). This sports center offers 20 yards, 4 lanes, Indoors. For this Pool, only phone number is number here. 344 E. 14th St. , New York , NY , USA (Postal Code: 10003). Among all the activities provided by the center, if you are interested in swimming you will enjoy 20 yards x 25 feet, 4 lanes, Indoors. If you will need to contact this Pool, email address and phone number are both number.